Our Spring Exhibition is now showing at Low Fell Library, 710, Durham Road, Low Fell NE9 6HT. 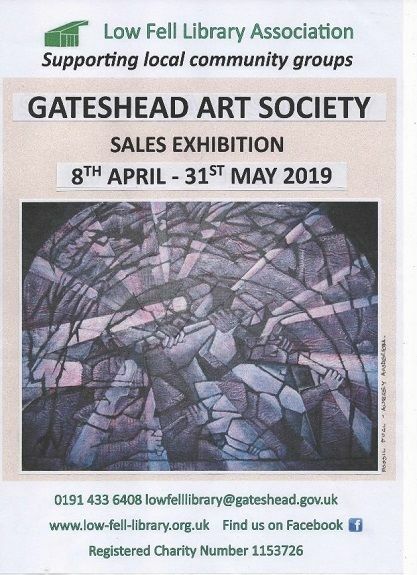 The Exhibition continues until Saturday 31st May. Normal opening times are 9.30 t0 5.30 Monday to Saturday. Click here to see some of the art on show. To view uncropped images of our art browse through our Galleries under individual artist names or for a random view of typical work click on Slideshow.